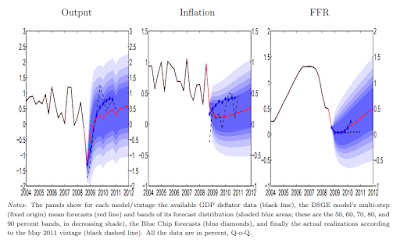 Information Transfer Economics: Is policy relevant? In my ongoing series of posts (, ) removing all human agency from the realm of economics, I am now going to question whether government policy (fiscal or monetary) has any effect at all. [The situation in the EU] makes me think of 1937 in the US (on which you [Sumner] have far more expertise than I). Sure, maybe in both cases raising rates killed the recovery. 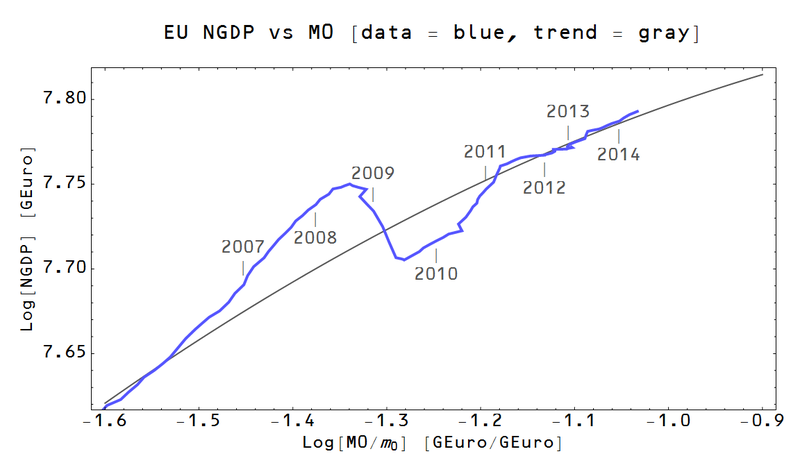 But maybe in both cases the recovery returned to trend and ended on its own, independent of monetary (or fiscal) policy? So 1937 in the US looks like 2011 in the EU. The purely-fiscal version of the Keynesian explanation is that Roosevelt tried to balance the budget in 1937 and that the EU implemented austerity in 2011. Monetarists and more monetary-leaning Keynesians also point to the central bank raising interest rates (the Fed in 1937 and the ECB in 2011). But what if policy (monetary or fiscal) was irrelevant? 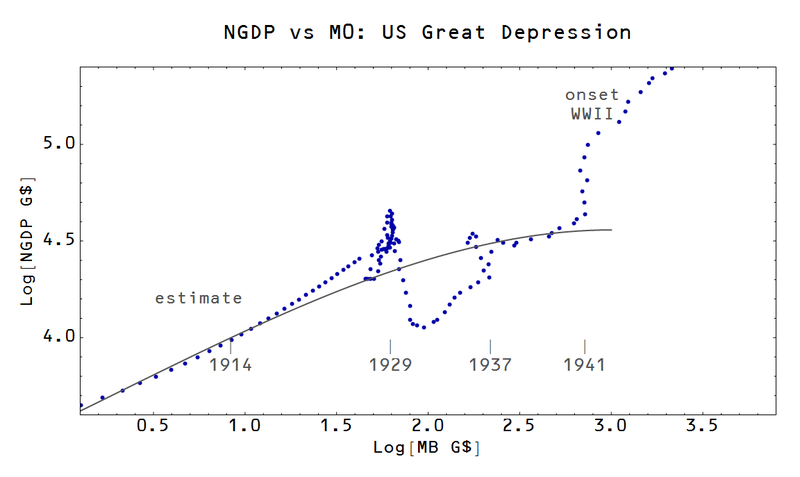 After the initial bust (in 1929 or 2008), the economies fell from a point far above trend to one far below. The economies rapidly recovered until they returned to the (stagnating) trend at which point the recovery ended -- regardless of monetary or fiscal policy. In the US a major monetary (and fiscal) policy regime change took place at the onset of WWII, so policy does have some sort of impact. It appears, though, that the scale of impactful policy change would have to be on the order of creating a bout of wartime hyperinflation.